While studying languages, questions inevitably crop up as we encounter problems either while exposing ourselves to the language (listening and reading) or when we produce the language (speaking and listening). What does “fēnzhěn” mean? 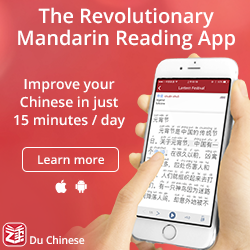 What does 得 mean in this sentence? Is it correct to say both 好久不见 and 很久不见? Is 啥 used in formal writing? These kinds of questions crop up all the time and learning how to cope with them is an essential part of language learning. If you’re immersed in a learning environment and have several teachers by your side at all times, this isn’t much of a problem, but in this article, I will argue that how we handle problems we encounter is quite important. In essence, we should make sure that we solve whatever problems we can solve on our own and when we ask other people to help us, we should be aware of whom we ask and why. What is language question triage? Language question triage is simply a way of prioritising and categorising language problems that you encounter in your studies. It doesn’t matter what the source of these problems are in this case, what matters is what kind of problem they are and how we go about solving them. In short, language question triage is about sorting language problems and then apply the correct solution to them, with the goal of learning more efficiently. This might look like a trivial problem at first. It isn’t. Why is triage needed in the first place? 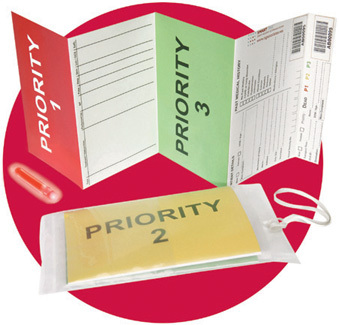 Triage is needed because resources are limited. If we study diligently, we will encounter many more questions than we can possible find answers to. Most of these questions we never ask or might not even think about. Learners will of course have different resources for coping with questions they want to ask. As mentioned in the introduction, if you’re surrounded by competent teachers with lots of spare time on their hands, you have virtually unlimited resources. This is not the case for most people and I think resource scarcity is a real problem, especially for beginners or people who study on their own in their home country and might not have many native speaking friends. Even if you have a few native speaking friends, you can’t bombard them with questions every five minutes or you risk having no native speaking friends very soon. Friends are friends primarily, not teachers, dictionaries or grammar books. If you have a large number of friends, you can of course spread the questions among them to decrease the load on each individual. However, as we shall see, the first step should always be to solve the problem on your own. The following list details the mental process I go through to solve problems I encounter. Note that step 1 is by far the most important one, while steps 2-4 might only be applicable in certain situations. Naturally, I don’t go through this list carefully every time, it’s an automated process, but do at least consider solutions high on the list before those below. I try solving the problem on my own – This is not a straightforward process and there are many tools you can use apart from the obvious (dictionaries, grammar reference books, textbooks), such as search engines (don’t forget image search), social media, Wikipedia (check how something is described in one language, then switch to the page in another language), corpora, language forums (search and see if someone else has already answered your question). Ask people who are professionally obliged to help you – If you have someone who is supposed to help you with these kinds of questions, such as a teacher, tutor or language exchange partner, ask them. You know these people at least partly because you want to develop your language skills, so there is nothing wrong asking lots of questions. For most people, this resource is quite limited, though, or it might come with a reciprocity clause (you’re supposed to help help them if they help you). 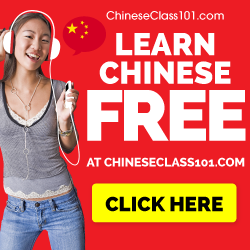 Ask publicly – There are many places on the internet where you can ask questions about learning Chinese. For instance, check out Chinese Forums, reddit or Stack Exchange. The important thing here is that you ask people in general and whoever feels like answering will just post a reply. I often skip this step if I want a quick answer or if I don’t want to ask publicly for some other reason. Still, this resource is very useful for some questions, particularly those that are best answered by advanced second language learners rather than native speakers. Ask people you know in general – This is probably only possible using social media, but is quite useful sometimes. If you have a question, try asking it on Facebook or Twitter. If you have native speaking friends or other learners more advanced than you, someone might feel inclined to answer. Still, you’re putting no pressure on specific people to help you. Ask someone you know in particular – Asking someone in particular who doesn’t have a professional link to you should only be the option after you have tried or at least considered all the other alternatives. This is because friends are friends, not teachers. Also, receiving help but never giving something in return is bad manners, so if you always ask questions, you should give something in return even if this isn’t mentioned. As you might have noticed, much of what I’ve written is about utilising resources in the best possible way. It’s also about not wasting resources if you don’t have to; it’s about not annoying your friends too much. To further escape this problem, there is one last thing you can do. What connotations does this word have? What’s the most common occurrence of character Z? Why is the syntax in this question like it is? 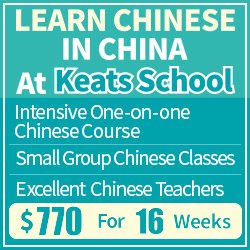 I have spent a decent amount of time learning Chinese while helping Chinese-speaking people to learn English. This is rewarding in many ways, especially when done in Chinese, but there are situations where I encounter where language question triage has obviously failed. If someone asks me how many l:s there are in “parallel”, where the stress should be on “triage” or how to say “海洋” in English, this is an obvious case when what I talk above hasn’t been followed. It is possible to answer these questions in five seconds using any dictionary. This is a misuse of resources; I’m sure there are other problems I can help these students with where dictionaries are useless. There are of course situations where language question triage is irrelevant. I would say there are two situations. First, if speed is important, you can skip steps 2-4 in the list above, simply because none of them might give you the answer you seek fast enough. Second, if the load you put on other people to help you is very small, you can just ask people directly. Let’s say I’m studying in the same room a as a close friend. Of course, I might still try step 1 first, but if that fails, I will skip directly to step 5 if I feel that I can ask my friend without trespassing too much on his or her time and/or patience. Ultimately, language question triage is about being responsible and not imposing yourself too much on others. If you can solve a problem on your own in a minute, what makes it okay to occupy someone else’s time to solve the problem for you? If you have a language exchange with someone, you’re expected to give something back in return, so if you choose to ask unnecessary questions, you’re wasting time you could have used for something else. In any situation where resources are limited, triage becomes important. Meh, I’ve almost stopped asking on chinese-forums.com. Too academic there. I’ve asked how a word is used, and people just look it up in the dictionary and post that, instead of their real-life experiences. Chinese-forums tends to specialize in Beijinghua at the cost of Mandarin as it is actually used…not a surprise as it seems most of their senior posters are students or professors who live in Beijing. That hasn’t been my experience on Chinese-forums. 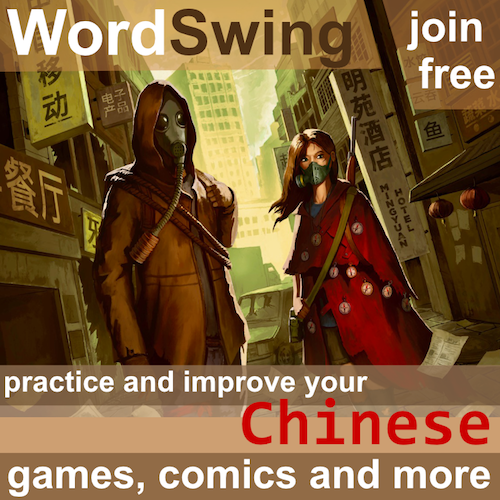 The site has posters from all over, including native speakers from HK, mainland China and Taiwan. What sub-forum are you posting in? That’s called civility (or savoir-vivre) I believe, and of course its application is not restricted to language learning. But indeed, language learning is a field where people tend to forget about the basic social conventions. I usually start with Step 1 (figure it out yourself) and then go quickly to Step 5 if I have doubts or need confirmation, usually by online chat. People who know me know me as a language learner, and I try as much as possible to create 關係 wherever possible. That means a) I become genuine friends with these people, not just using them for their native speaker intuitions, and b) I drop everything to help them when they need me for my native language. I think one thing that helps is that I know a lot of language teachers/professionals; so I can get very reliable judgments from them. Another thing that helps is that I’ve learned to identify exactly what I need, and ask very precise questions. A lot of my students don’t know how to ask a precise question, so I’m having to teach that as a skill. I don’t think I’ve ever done a forum before, but I have asked Facebook once or twice.